One of the most important aspects of caring for a nursing home resident is providing oral or mouth care for a patient. This is a necessity as most infections and diseases can start by having a dirty mouth or having leftover bits and pieces of food stuck in the gums or in between teeth. Providing this type of care can be done even in unconscious patients as well to help keep them in the best health condition as well as to make sure that they feel well taken care of. This is a very sensitive process especially if the patient has already developed some sores or pus in the mouth. The first step to providing oral care for a patient is to knock on their door and introduce yourself to the patient courteously. Address them by name and let them know why you are there and try to explain to them the step-by-step process which will be involved. Prepare all the materials that will be needed for the process and then proceed to wash your hands thoroughly and put the appropriate personal protective equipment that you will need. Allow the patient to participate in the process as much as they can to promote their independence. After this, raise the level of the patient’s head up to a 30-degree angle to make it more comfortable for you and for them to get the cleaning process done. Do not try to raise the head of the patient at a greater angle as this may cause them some discomfort. Next, turn the patient’s head towards your direction and then ask them to open their mouth. 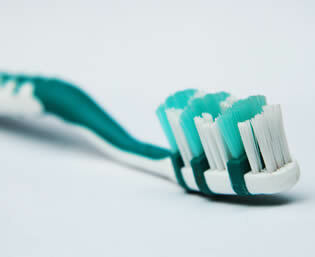 With a toothbrush with a small amount of toothpaste, begin to brush the patient’s teeth, gums, and tongue. Make sure that you cover all of the areas of the mouth in order to ensure a thorough cleaning. Do not use an excessive amount of toothpaste as this may cause the patient to swallow some of it and cause further health problems. Just a pea sized amount would do. Next, give the patient with a glass of water to rinse the toothpaste out of their mouth and have a basin ready where they can spit it out. If the patient is unconscious, have a suction equipment ready and then proceed to rinse the mouth of the patient while applying the suction hose to prevent them from swallowing the toothpaste. When you have finished rinsing the patient’s mouth, get a clean piece of towel and dry their mouth. If the patient can do this by himself, then let them do so. It will help develop his sense of independence and may contribute to a speedy recovery. Put the patient in their original position, i.e. lower the bed, and then ask them if they need anything else or if they are feeling comfortable. Put their call lights within their reach and proceed to disposing the things that are non-reusable and put soiled linens in the hamper. Put back the materials to their original placements as well.